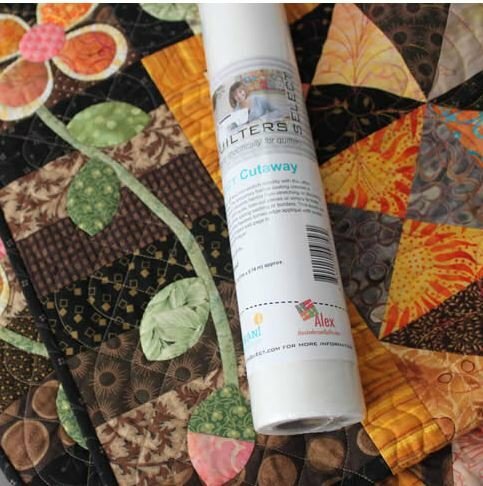 QSC-1510 Quilters Select Cutaway 15 x 10yds. Alex Anderson's Quilters Select > QSC-1510 Quilters Select Cutaway 15" x 10yds. Temporary fusible coating creates a necessary bond to prevent fabrics from stretching or distorting. Stabilizing T-Shirt Quilts, bias cut pieces or simply to keep blocks from moving while adding sashing or borders. Create flawless turned edge applique with sealed edges!